It’s a truth universally acknowledged that blondes have more fun. Be it Paris Hilton, Marilyn Monroe or Barbie, we women have grown up with the notion that it’s just sexier to be blonde. While I, a true blue brunette, don’t subscribe to these beauty standards, I also admit that blonde seems like a super fun hair color to have simply because it lends so many more coloring options. Now, I get that not everyone has a pretty dime to drop at a salon when they want to go get their hair colored by a professional. But that doesn’t mean that you can’t have the hair of your dreams. And from the comfort of your home, too! With the availability of boxed hair colors in an endless variety of shades these days, coloring your hair at home has never been easier. But that doesn’t mean that you apply the color you want to your hair willy-nilly. 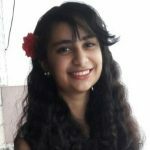 There are some things you need to keep in mind before dyeing your hair at home, lest your hair ends up looking like a horrific nightmare instead of a beautiful dream. Figure out if you are warm or cool toned. If the veins in your wrists appear green and gold jewelry looks better on you, then you are warm toned. But if your veins look blue and silver jewelry looks better on you then you are cool toned. There are generally 3 main tones of blonde found in boxed hair dyes – ash (which is cool toned), gold (warm toned), and neutral. Go for a tone that matches your skin tone. For a more natural look, just go 1 or 2 shades lighter than your natural hair color. Anything more than that and you can end up with brassy looking or orange hair. You could also make your own custom shade of blonde by mixing two shades together. Just make sure that you mix a gold toned shade with a neutral shade or an ash shade with a neutral one. Don’t ever mix a gold and ash shade together as the tonal difference between them is too drastic. Another thing to keep in mind when mixing shades is to make sure that the shade numbers of the 2 colors match. For instance, if you’re going for a 6G (golden blonde shade), then the neutral shade you pick to go with it should be 6N (neutral blonde shade). DO NOT mix dyes from 2 different brands as each company uses different ingredients and you don’t know how they would react when mixed. If you want to go more than a couple of shades lighter than your natural hair color, you will have to bleach your hair to strip it of its color before dyeing it. Well, now that you’ve done all your research and zeroed in on the shade of blonde that you want to go for, let’s dive right into how to dye hair blonde at home! Put on your old t-shirt/towel: There’s nothing worse than getting done with a successful dyeing job only to find that you have stained your perfectly good clothes in the process. Avoid such mishaps by either putting on an old t-shirt that you don’t care to ruin or drape an old towel around your shoulders. 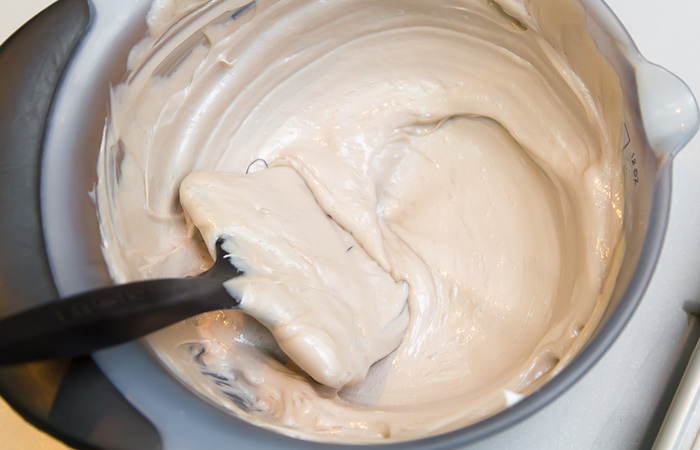 Mix your blonde hair dye in a bowl: Combine the dyes and developers from both the boxes in a large bowl and mix them thoroughly with your hair coloring brush. Make sure both the colors combine completely or else you might end up with patches of different blonde shades in your hair. Do a strand test: To make sure that you actually end up with the blonde shade that you are aiming for, test out the dye on a small 1/2 inch section of hair (taking from near the nape of your neck). This will also help you figure out how long you need to leave the dye on to get the exact shade of blonde that you want. Brush out your hair: Make sure you brush out every last knot and tangle from your hair. Coming across a knot in your hair while you’re applying dye can be a major annoyance, besides having the potential to make your color look patchy after it has been washed off. Divide your hair into 4 sections: Part your hair down the middle and continue this parting till the nape of your neck to divide your hair vertically into 2 sections. Then, part your hair from ear to ear split them horizontally. Roll up 3 of these sections and secure them to your head with some sectioning clips to keep them out of the way. Leave one of your front sections loose to dye first. It’s better to dye your front sections first as they are the ones most visible and they frame your face. Apply petroleum jelly all along your hairline: If you don’t want to end up with ghastly dye stains on your face, your best bet is to slather some petroleum jelly all along your hairline and on your ears. Put on your rubber/plastic gloves: Protect your hands from getting stained by the blonde dye by wearing gloves while you are coloring your hair. Start dyeing your hair right from the roots with a hair coloring brush: Since your hair near the roots require the longest time for the color to develop, start applying the dye right from the top and run a comb through that section of hair to pull the color down. Keep applying dye and combing it down until your hair is sufficiently covered from roots to ends. Take your time applying dye to all your hair: Work methodically and thoroughly by picking up 1 inch sections of hair at a time when applying the dye. This makes sure that the color fully penetrates all your hair and you don’t end up with patches of uncolored hair ruining your blonde look. Apply dye to your front sections first before moving on to your back sections. Leave the dye on for the duration indicated on the box: Remember, ladies – the instructions that come in your box of hair color are your best friend. Roll up your hair and put on a shower cap. Leave the hair color on for the developing time indicated on the box. This should be somewhere between 30-45 minutes. However, after the 20 minute mark, you can start checking your color by removing a bit of dye from a section of hair at the back. Keep checking every 5 minutes until you are satisfied with the color. 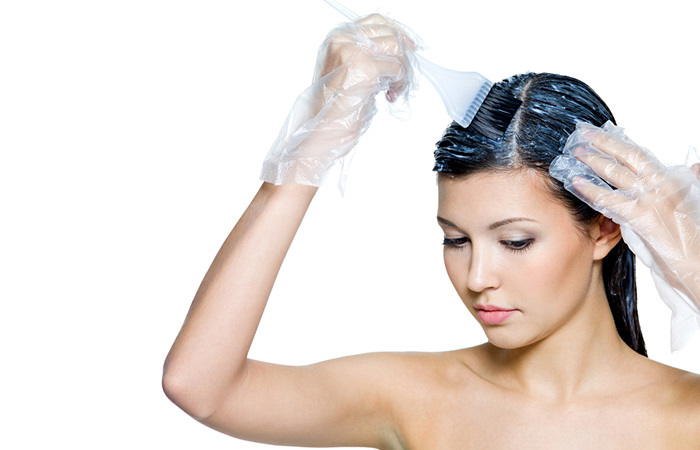 Wash out the color from your hair: Wash your hair with water, until the water runs completely clear, to get rid of all the chemicals from your hair. Then, shampoo it with a shampoo specifically made for dyed blonde hair (John Frieda Everlasting Blonde Colour Preserving Shampoo is a great product) and condition it with the conditioner that came in your box of hair dye. Don’t wash your hair for the next couple of days to let the color set in completely. Invest in some sulfate-free shampoo and conditioner that have been specially formulated for dyed blonde hair. These products will help maintain the brightness of your blonde hair and prevent it from developing a brassy tone. Oil your hair at least once a week to moisturize your hair as hair dyes tend to leach your hair of its moisture, turning them dry and brittle. Touch up your roots every few months to get rid of the natural hair color that starts peeking as your hair grows out. Now, that you know how to dye your hair blonde at home, what are your waiting for? Go ahead and seize your hair destiny by coloring it in the blonde shade you’ve always wanted! Comment below to let us know why you want to go blonde, your experiences with dyeing your hair, and which celebrity’s blonde hair you wish to emulate! Strawberry blonde sounds like such a cute hair color to have, right? Well, it may sound cute but do you even know what this elusive hair color actually looks like? Gorgeous celebrities like Gisele Bundchen, Jessica Alba, and Beyonce (!) are famous for sporting honey blonde hair color. Below, we have compiled our top 30 ideas for styling your honey blonde hair color. All you ladies who have always dreamed of actually looking like the ice queens that they are on the inside, listen up. Here are 30 Ash Blonde Hair Color ideas that will help you pull off your dream look flawlessly.